I killed her. I really did. I had no choice. THIS IS A F... ZOMBIE APOCALYPSE! I don’t find other words to describe it. What’s happening in the streets is pure madness. My wife’s stuck at her workplace, my son still at the kindergarten. We had to wait till they unblock the streets, but I couldn’t just sit back and wait. I decided to hide my family here in the office, so I went out to buy food, water, and so on for storing. Based on an agreement with Harran’s Ministry of Defense, the army has now full power to execute directives of the Global Relief Effort. Colonel Kadir Suleiman has been appointed the commander-in-chief of the enforcement forces. Civilians are requested to comply with their orders and observe the curfew. All instances of disobedience will be prosecuted. All acts of unrest and violence will be severely punished. More to be announced soon. To all Citizens of Harran: a cure for the epidemic, developed by the Global Relief Effort, has passed initial laboratory tests. To facilitate further works on the cure, the Ministry of Defense is looking for volunteers to participate in clinical trials. 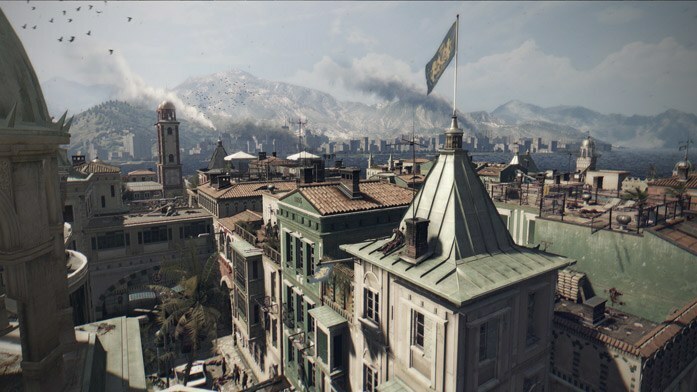 An increasing number of Harran citizens are suffering from the unknown epidemic that broke out in the city a few weeks ago. To facilitate treatment of the sick, the Ministry of Defense and the City Council have opened a field hospital at the Harran Stadium. The Ministry of Health announced that an extraordinary congress of doctors is to take place soon. The main concern is to identify the origin of the virus and contain the epidemic it has caused. Among international specialists invited to the congress is the Global Relief Effort, a humanitarian organization experienced in fighting outbreak across the globe. The Ministry is desperate to find a quick and effective solution, as the condition of many infected patients is deteriorating fast, making them less and less aware of the reality around them and the state they are in. Today the governor of Harran officially declared a state of epidemic. As a consequence, schools are to remain closed and all visits in hospitals are prohibited. Moreover, all mass events are now canceled. Harran citizens are encouraged to limit using public transport to the minimum and stay at homes. Due to the increase in rates of infection among the residents of Harran, and ineffectiveness of currently available cures, the city is introducing strict safety measures. Schools in the city have been cancelled until further notice. The flu season is still on. The city Health department reports a major rise in rates of infection. This year's mutation is the toughest on record. The symptoms are that of a typical flu, but extremely severe. There have been reports of many cases where the patients loose conscious and show signs of aggression. In the last three days Police has reported a rise in unusual attacks. The victims were attacked in broad daylight, just in the city center. No one was badly injured, and no possessions were taken. One victim was taken to the hospital with suspected bite marks. The Police urge all residents to take extra precaution. The City Council has announced that the incomplete commercial real estate projects that are located on West Street will go up for auction. The surrounding areas are mainly housing developments. We would like to invite all residents and visitors to our very own film festival, which will take place next month, on the 21 of December, at the outdoor section of our cinema. A friendly reminder that this weekend our city will celebrate Restaruant Day, the international event where amateurs can become chefs for one day. Market Square is the place where all the action will happen, where local food vendors, restaurants, and amateur chefs, who for one day, will be able to showcase their taste-buds tantalizing specialties. Environmental awareness reached Harran at last! As various ecological movements gain popularity among the citizens, our city council has decided to join the trend. To show the determination in creating a more environmentally friendly community, the authorities have declared December 13th as a Car-Free Day. Please note that today there will be power outages in certain regions of the city. Attention to all drivers and public transport passengers. There is heavy traffic on the intersection of Royal Street and College Street due to an accident. The intersection of Goldsmiths Street and Mercante Street is also congested due to traffic lights failure. If on route, expect delays. If possible, please use other routes. As of today, Harran city has a new Mayor. Erol Assani took the official oath during his first City Council session. The City Council and the Academy of Harran invite all citizens to free tours around our beautiful city. The idea behind the “Know Your City” campaign is to familiarize all of us with the intriguing history of our home. Tender for Public Bike System Invalid? It is highly likely that the city council will declare the recent tender for a public bike system invalid. The reason is that all submitted offers exceeded the maximum cost which the city was prepared to pay. On the 3rd of November Doctor Khalim Abbas and nurse Sumry received the Merit of Harran award. These awards are bestowed to people who have shown great dedication and contribution to the city of Harran. On Monday around 1pm, The Regional Election Council announced the results of the last election. In the first round of votes for the Mayor’s office, Erol Assani has won the seat with 56% share of the votes. The Department of Trade and Investments has signed a contract with SWATSON & SON to build a new pre-school. The new educational facility is planned to be complete and fully operational by 2016. The pre-school will be built on the same grounds as the old pre-school on Khalif Mandala Street. The 2014 Harran Local Elections: 29-30 November The residents of Harran city will be able to cast their vote in the upcoming city-wide elections. The results of the election will determine who will be the new Governor of the city of Harran, and the new members of the local Parliament. After the discussion with the residents, the Harran city council has decided to lower prices on parking within the city.Currently, the rates stand at 5 Harran dollars per hour for each passenger vehicle and 10 Harran dollars for each bus. The cost for all day parking is 50 Harran dollars for each passenger vehicle. The new rates that will be introduced was of 1st of January will charge 4 Harran dollars for the first hour, 3 Harran (Harranians maybe?) dollars for the second hour, and 2 Harran dollars for the third. The remaining hours will be charged at 5 Harran dollars per hour. A whole day cost will be capped at 40 Harran dollars.